Visible results in just 1 month. 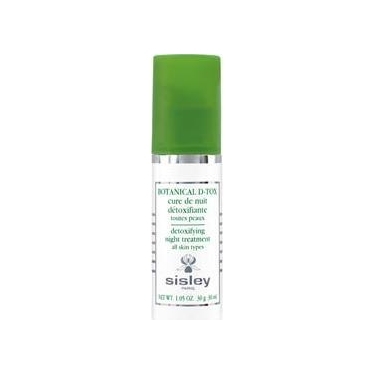 Botanical D-Tox is a Sisley intensive one-month treatment. This formula acts during the night, the best time for cellular regeneration, to fend off signs of fatigue. Highly concentrated in plant extracts, it acts globally on the 3 main levels of the skin detoxifying chain. Apply P.M to face, neck and decolette, alone or under your regular night cream. Ideal for all skin types, including sensitive. Non comedogenic.